Being in the happy position of being able to go away as and when I feel like it, in mid-July of 2014, the 10 day forecast looked settled for a while. 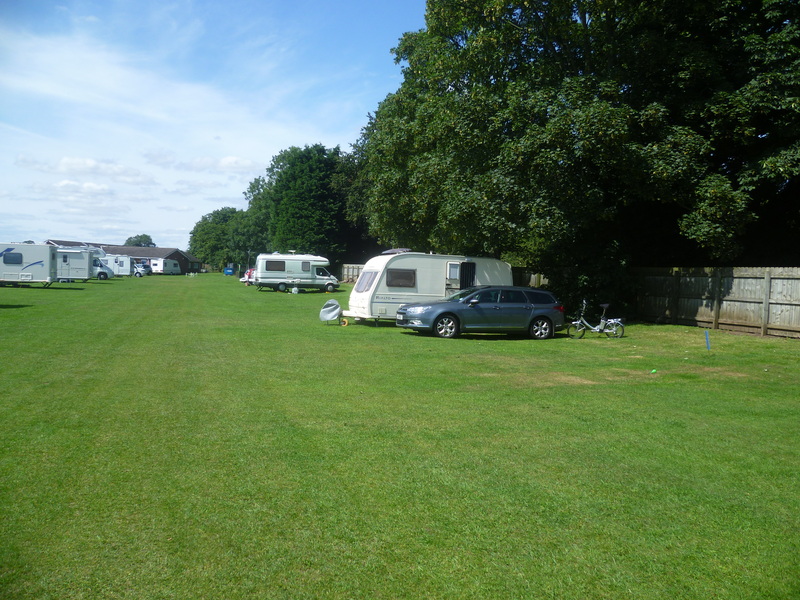 I went online and checked the availability of Caravan Club pitches at either of the two York sites. To my dismay, they were both fully booked, however I saw that there was room at the Thirsk Race Course Site which is 40 miles or so further north. I booked seven nights for an arrival in two days time. My van is kept more or less packed, ready to go, except for food stuffs so it didn’t take long to get ready. Whether I head north or south, the first part of any journey always includes a big chunk of the M25 and from past experience I know how slow moving the traffic can be at most times throughout the day, so I left home shortly before 6am. The M25 was busybut free-flowing and within 90minutes I’d reached the services at Newport Pagnall. I pulled in for a coffee break. The time was still only 8am so I stretched out in the van to have a read. Before long I dozed off. I awoke 30 minutes later feeling refreshed so I started up and rejoined the motorway. Another 100 miles brought me to Trowell Services and time for another coffee. After a brisk walk around I was off again, taking the M18 to join the A1. I’d already planned to stop for lunch at Wetherby Services and although it was not yet 11.30, the parking areas were full. This service area, whilst it has large dedicated areas for HGVs; another one for coaches and a third one for caravans, it still has to cater for traffic travelling in both directions, consequently I had to do a few circuits of the site before I was able to find a slot. Why is it that white-van-man has difficulty reading the words “Caravans Only?” After a leisurely lunch, I set off again on the last thirty miles, arriving on site just before 1pm. The site at Thirsk is situated to one side of the race course complex and is on a flat grassed area. A main road runs along one side of the site so perhaps a pitch in that area would aware of traffic noise. I took a walk around the site, selected my pitch and after setting up with water and electricity, got out an easy chair and brought out a cup of tea. But not for long. I soon got the urge to explore, so I unpacked my folding bike and got it ready for the road. I discovered that just along the road from the site was a fair sized Tesco supermarket – big enough to have a filling station attached. Then just a short distance away was a Lidl. But it was the old market town that I wanted to see. And it didn’t disappoint. 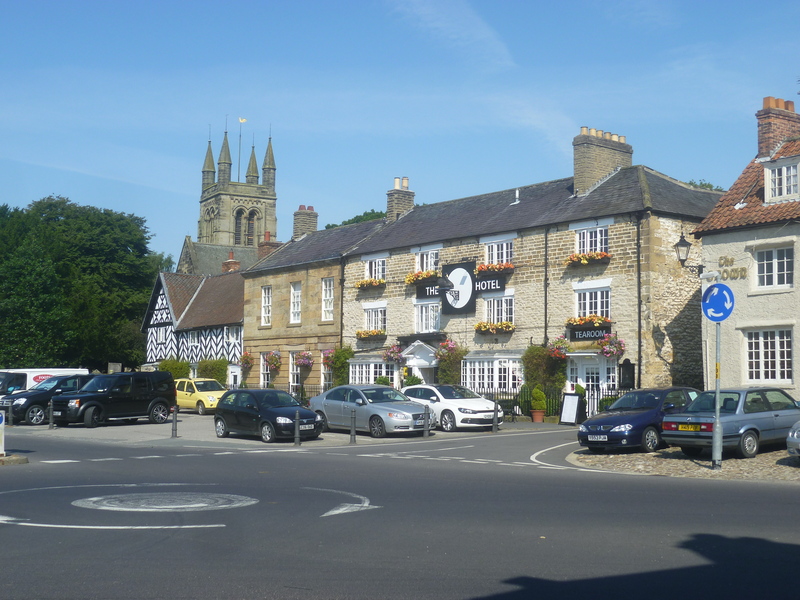 It’s a typical country town with a huge market square still surrounded by many coaching inns dating from a bygone age. 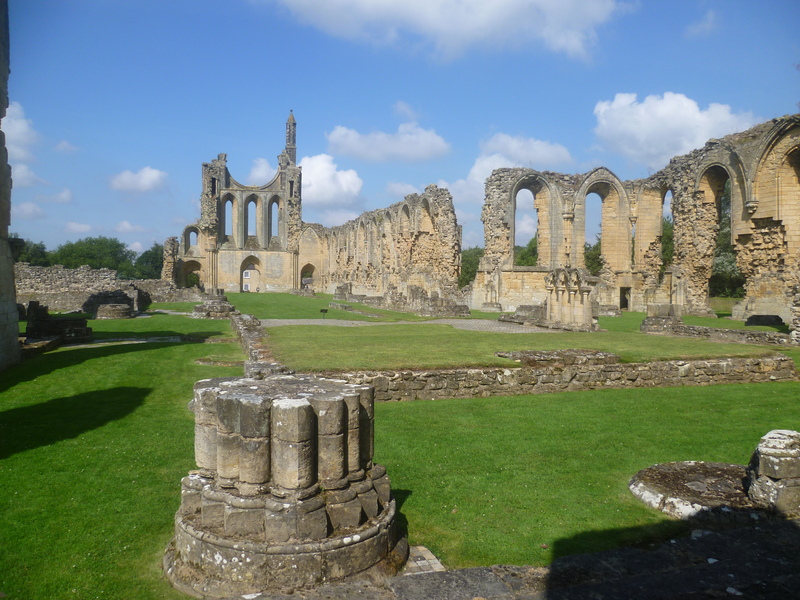 The main purpose for my visit to this area was to visit some of the northern abbeys and other English Heritage sites in North Yorkshire, so it was back to the caravan to plan the itinerary for the next few days. Tuesday. I was ready to leave the site by 9am and so set Tomtom with GPS cordinates to take me to the ruins of Byland Abbey………………. Towards the end of the 11th century several monastic orders who observed the Rule of St. Benedict had come into being. One of the lesser known orders was that of Savigny in Normandy. 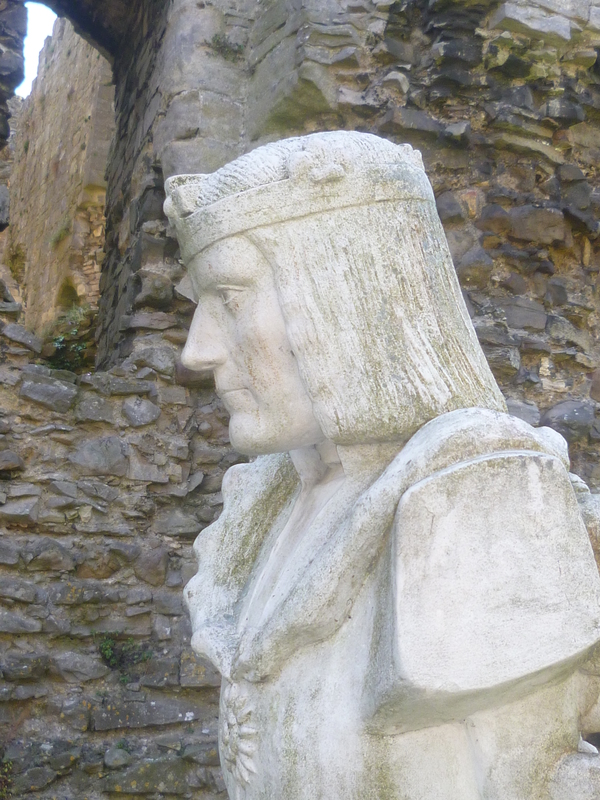 The most important of all their patrons was Stephen, Count of Mortain who in 1135 became King of England. 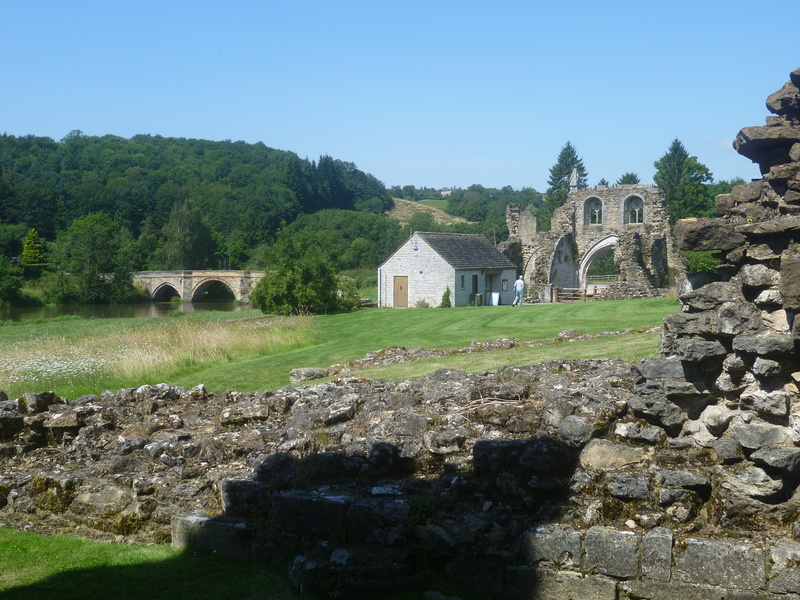 Monks from that Order came to came to England and in 1155 began work at Byland where they spent the next 20 years clearing and draining the land in preparation for the building of their Abbey. Over the next 200 years the Abbey continued to flourish, expanding its estates in an ever widening area. Sheep farming and wool production was its main source of revenue although the monks were also into iron ore mining. 150 choir monks and 450 lay monks formed the brotherhood at Byland. Choir monks were responsible for the running of the community and spent most of their time at prayer and contemplation whilst the lay monks worked in the fields; in the kitchens; in the infirmary; on the farm; on the building projects and all the other activities which helped make them self-sufficient.. But whatever else they did, they all took part in the Abbey services which started at midnight and continued at 3 hourly intervals throughout the 24 hours. Later in the morning I continued on my way for another ten miles or so, which brought me to the impressive ruins of Rievaulx Abbey built alongside the river in a steep-sided valley.This monastery was built by Cistercian monks who arrived from their mother monastery at Clairvaux in France in 1130. The land was granted to them by Walter Espec, the lord of nearby Helmsley. Over the years the abbey grew both in size and importance, having been rebuilt on a grander scale no less than four times. By 1538 it was a community of 800 monks and fabulously rich however, along came Henry VIII who took the wealth and sold the buildings to his Earl of Rutland. He allowed some of the monks to continue working the mills and iron works – but gradually sold off the fabric of the buildings. By now I’d had enough walking and looking for one day so it was back to the racecourse and some dinner. Wednesday. The good weather looked set to continue so with lunch packed and thermos filled I was ready to leave by 9am again. I took the road up the steep Sutton Bank towards Helmsley around 15 miles away. I found a carpark and walked into the town. 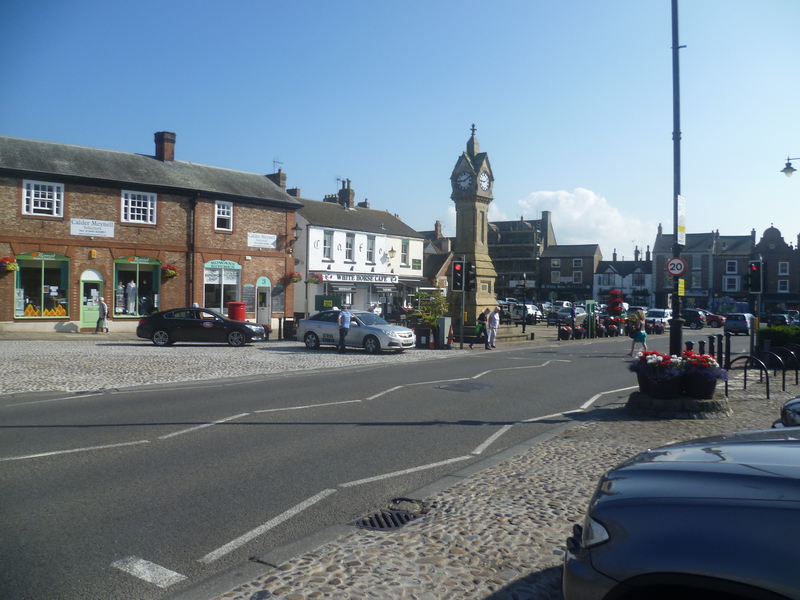 This is another country town with a huge market square containing the usual inns and hotels. The ruins of the castle form the backdrop to the view which was to be my next visit. The first castle, built in 1120 by Walter Espec on a high flat-topped hill, was a wooden structure. 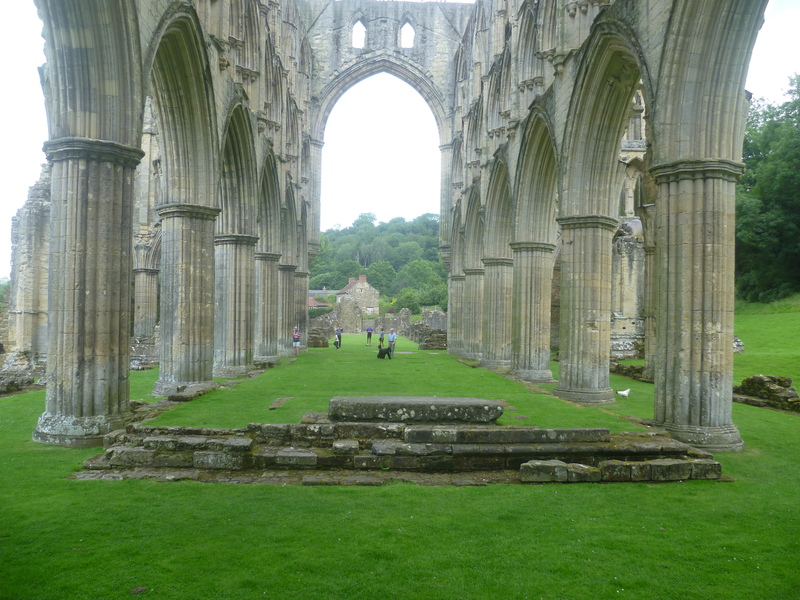 Like most people of that time he was very religious and the salvation of their soul was an important factor in all their lives, so in addition to giving the monks who came to Rievaulx 1000 acres of land, Espec also gave land and support to the nuns who set up nearby Kirkham Priory. 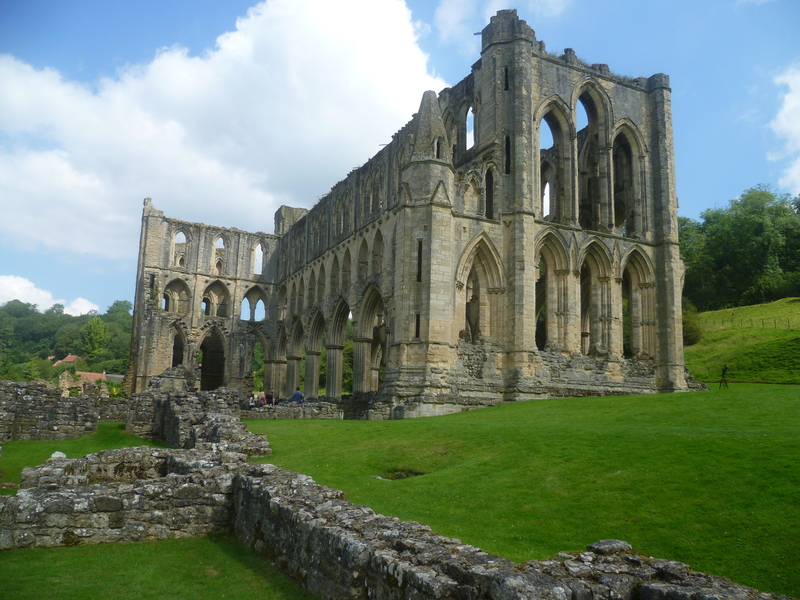 Since he had no living heirs, in his later life he gave up his castle and joined the brotherhood at Rievaulx as a novice monk. He remained there until his death a few years later. After his death his estate was shared by the Abbey and his sister who had married into the de Roos family. It was then that the castle was gradually rebuilt in stone. It saw its last bloodshed during the Civil War when it was besieged by Sir Thomas Fairfax. Supporters of the King held out for three months before surrendering themselves and parts of the castle were blown up so that it could no longer be a threat. But it was time to move on – so it was back to the car. Kirkham Priory was on my route so I stopped off there for a quick look round before continuing on across the moors to Wharram le Street. Fortunately I’d researched this next stop on Google Earth so I was able to pinpoint the tiny carpark situated down an obscure country lane by using GPS coordinates. It was time for a late lunch and a beer by the time I had arrived, followed by a short doze in my sun-lounger. 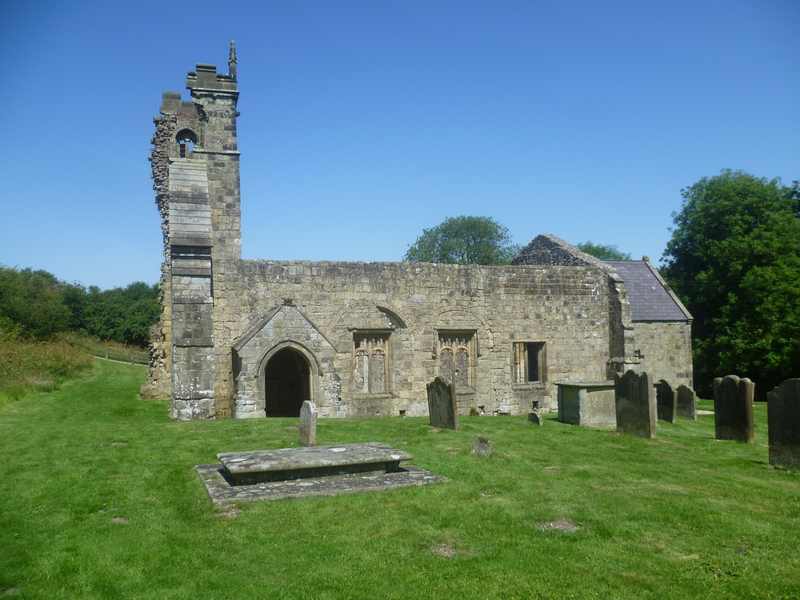 But where was the deserted village of Wharram Percy? Nothing could be seen from the carpark except for a gate leading to a track which made its way down the slope of the valley. After what seemed a very long walk on a very hot afternoon, I was in the valley bottom and realised there was a climb up the other side. Eventually I reached a grassy plateau where in the turf could be seen the outlines of long lost houses. This was the deserted medieval village of Wharram Percy which flourished between the 12th and 14th centuries, before final abandonment around the year 1500. 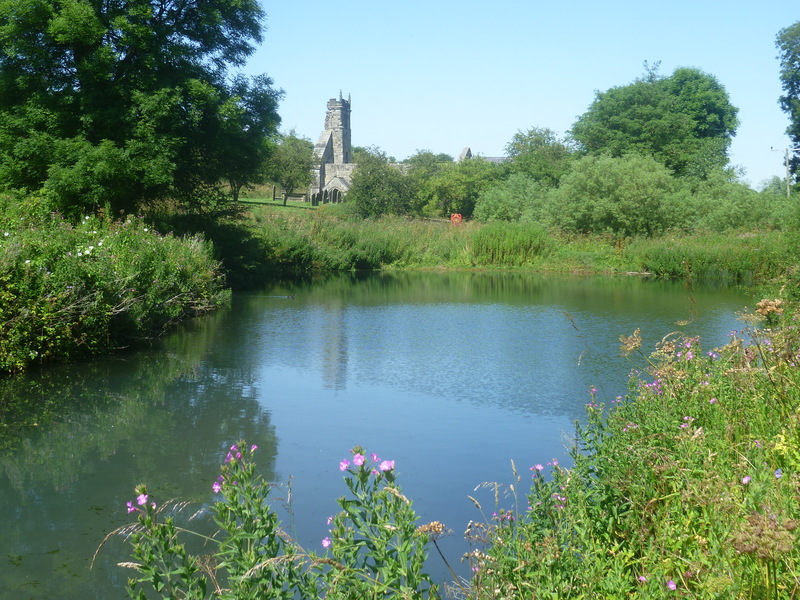 In the valley bottom the village church still remains, but roofless and beyond that, the village fish pond. It was so pleasant sitting in such tranquil surroundings, listening to the birdsong and the trickle of the stream…….. but spoilt by the thoughts of that long hot trek along the valley bottom then up the hill back to the car. I really did begin to wonder if my enthusiasm had not outweighed my stamina. After such an exhausting day I was glad to get back to the van, have dinner and an early night. Wednesday. Today looked as though it was going to be another lovely one, so lunch and flasks were packed again. This time I set off in the opposite direction towards Ripon. 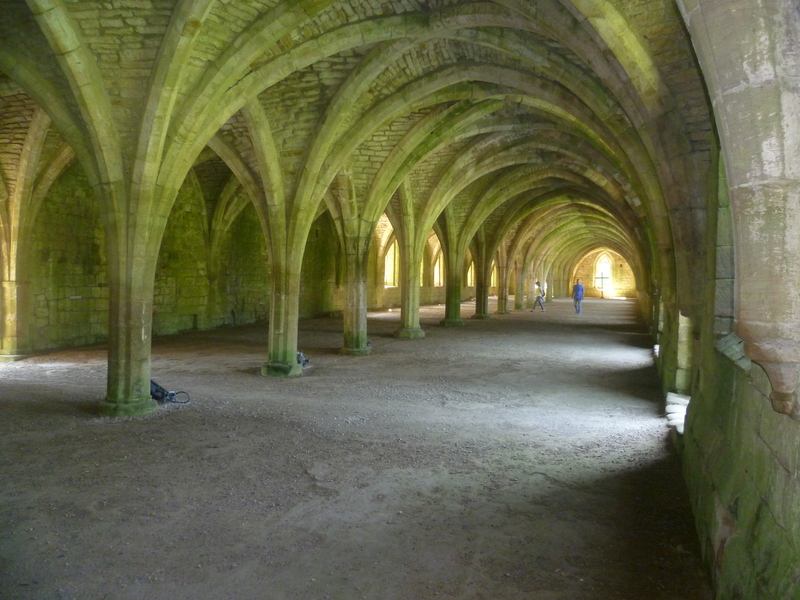 My first stop was to be at Fountains Abbey. This is a huge complex consisting of the Abbey and Studley Royal Water Gardens – all under the ownership of the National Trust. 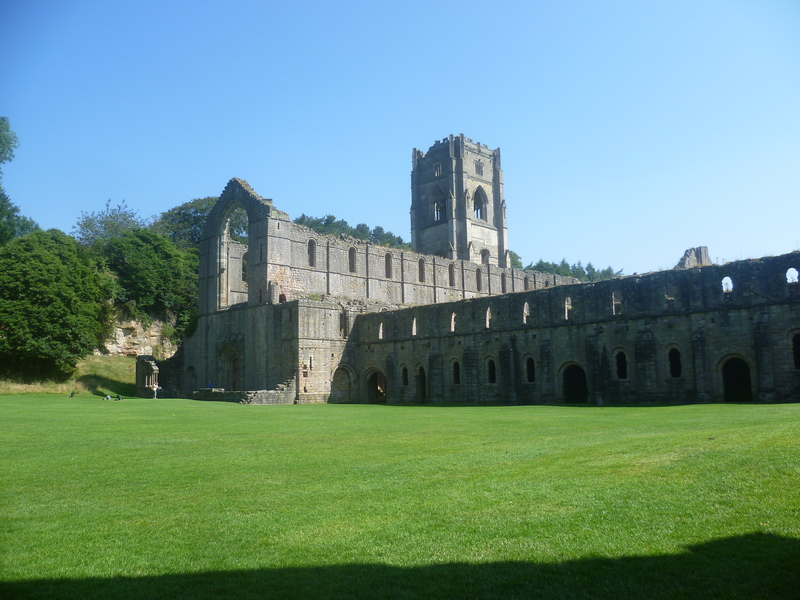 However my walking ability is such that I made do with seeing only the Abbey – and even that is a long walk from the car parks. 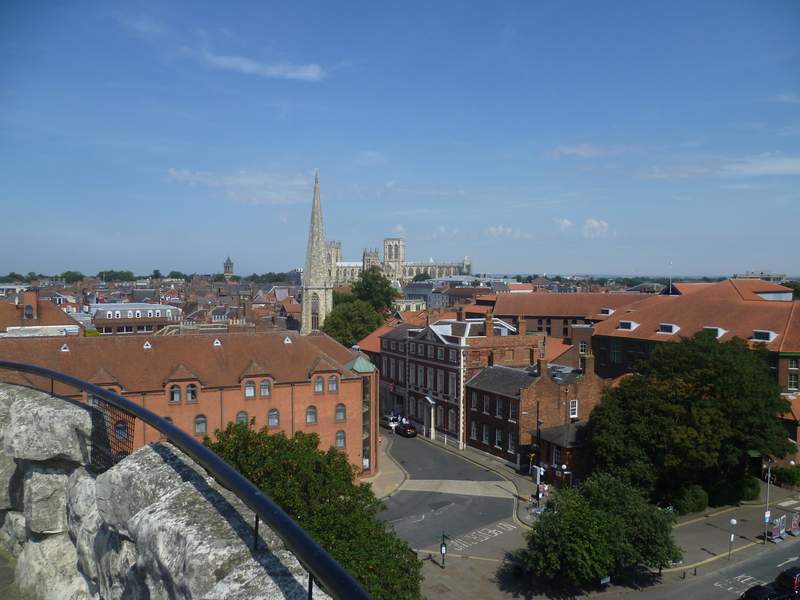 Following a dispute and a riot in 1132 at St Mary’s Abbey in York, 13 monks were expelled, and it was to this valley where they came and were given land by the Archbishop of York. 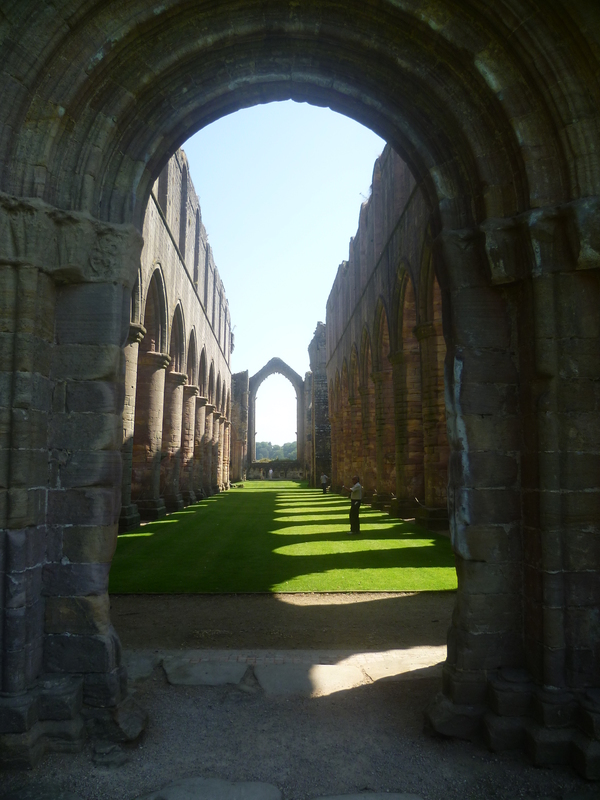 They joined the Cistercian Order of monks and as the community increased in numbers, so did the splendour of their Abbey. For the next 400 years the community thrived by developing other commercial interests, included mining, quarrying, iron-smelting, fishing and the milling of grain, all in addition to the main industry of most religious houses, that of sheep farming and wool production. Buyers came from all over Europe to attend the wool fairs and to buy their stocks. By the time the dissolution took place, Fountains had become the largest and the wealthiest of them all. After lunch I set off on the next stage of my tour. 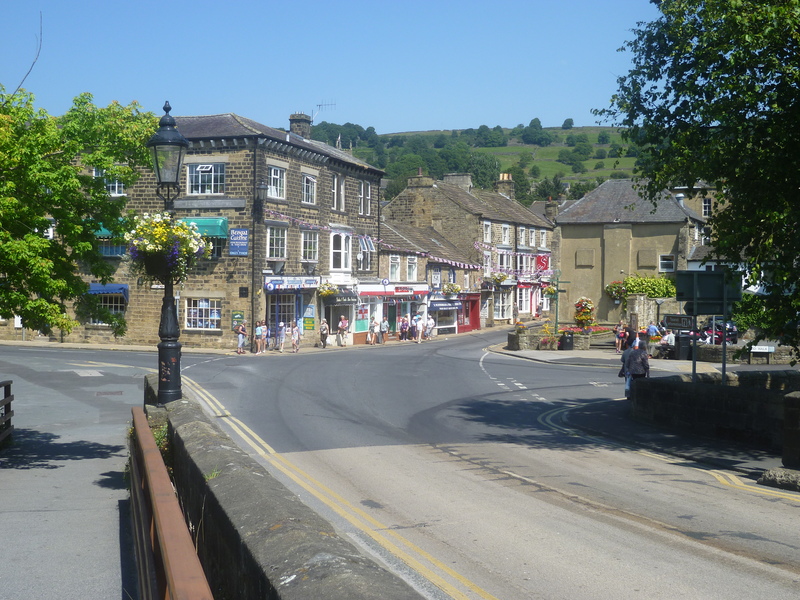 I passed through the village of Pateley Bridge where I stopped briefly to have a walk around. 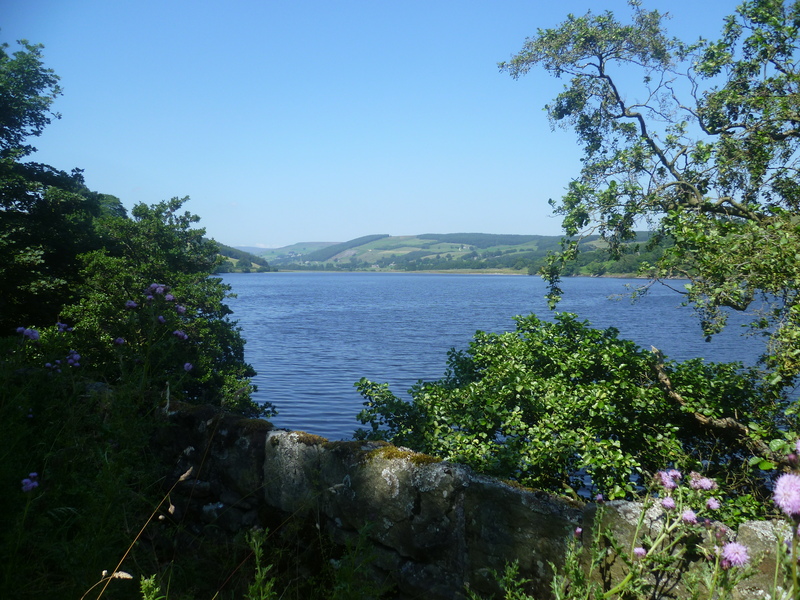 From there I took the road across the moors, through Nidderdale and past the Gouthwaite Reservoir. 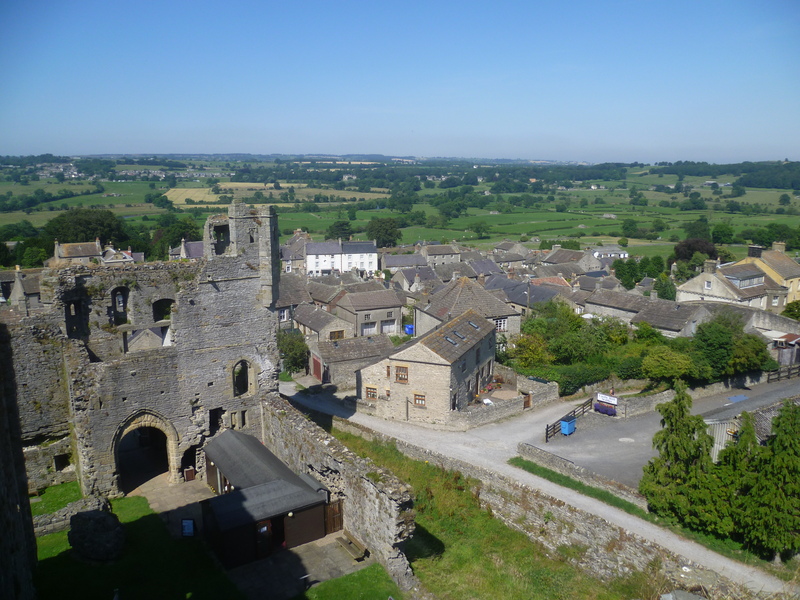 After driving through some glorious countryside, I came to the village of Middleham, where I wanted to visit the castle. It was here where one of William the Conqueror’s knights who had been given land built one of the first wooden castles from which they could crush the rebellious northern tribes. Gradually the wooden structures were replaced by a central keep built in stone and added to as the years went by. By 1270 the castle had changed hands and the Neville family acquired it. One of the most notable members of that family was Richard, the Earl of Warwick. When their father died, Prince George and Prince Richard were put into the care of the Warwicks at Middleham Castle. Eventually Richard was crowned Richard II, but not for long for he was killed at the Battle of Bosworth in 1485. His remains were recently found and exhumed from beneath a public car park in Leicester. That visit brought to an end another exhausting day and it was time for the long drive back to Thirsk. Thursday. Tomorrow is a race day at Thirsk, so by 10am every outfit has either to depart or move to a track-side paddock. I decided to move early so I could get installed on my new pitch before I went off for the day. Unfortunately as there was no EHU there, I had to use the gas. It was a later than usual departure but I headed for the A1 to enable me to visit the Roman Town at Aldborough. It was only 15 miles so I quickly got there. But disappointment! I discovered it was only open at weekends. Then I saw the sign pointing to the 13th Century church at the far end of the village. At least I can see that. So I walked down the hill and across the green, into the churchyard. But only to find the church was locked. What a day this was turning out to be. I decided to head for York, another 23 miles away. As I drove, I debated whether to use the park & ride facility or to find a carpark in the city. I opted for the car park. Big mistake! The bus would have used the bus lane – meanwhile I slowly crawled my way through the busy traffic. But at last I reach my carpark, right next to the Castle. 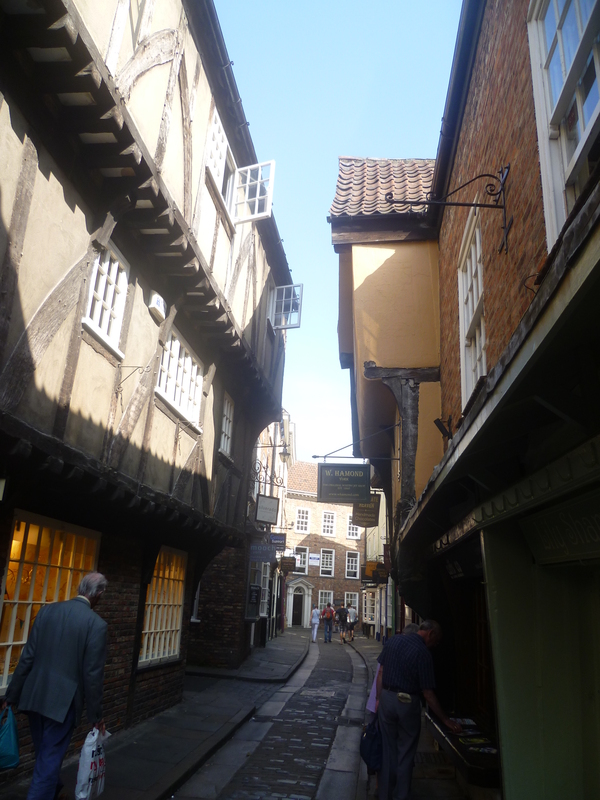 I set off to walk; first through The Shambles, an extremely narrow street which gets a mention in Domesday Book and on towards the Minster. 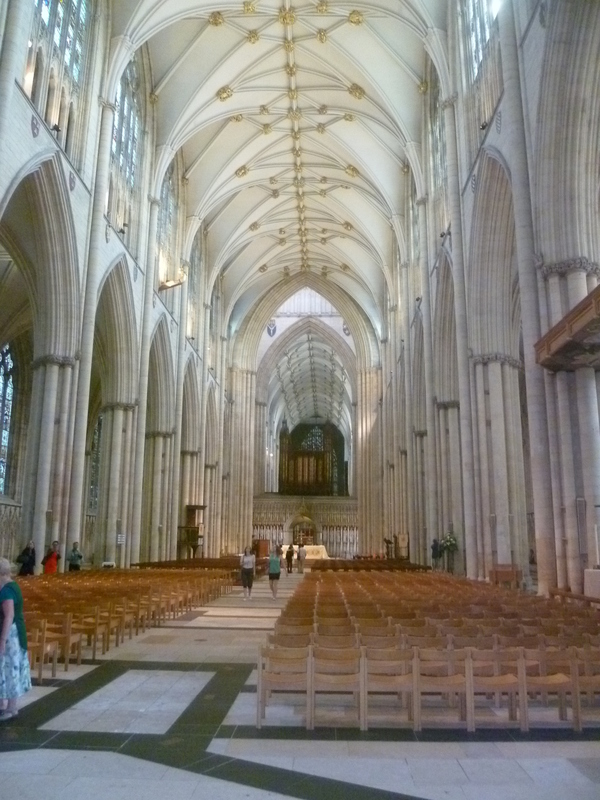 The going rate for admission to most Cathedrals now seems to be a tenner. I paid up and went inside. What a fantastic place. How brilliant it would have been to have been able to climb to the top of the tower. Instead I had to content myself with a climb down to the crypt where below the foundations of the Minster could be seen the remains of what is thought to be the Roman house of Constantine. From the Minster I retraced my steps to the car park but before leaving, I climbed the steps up the mound to all that is left of the Castle. 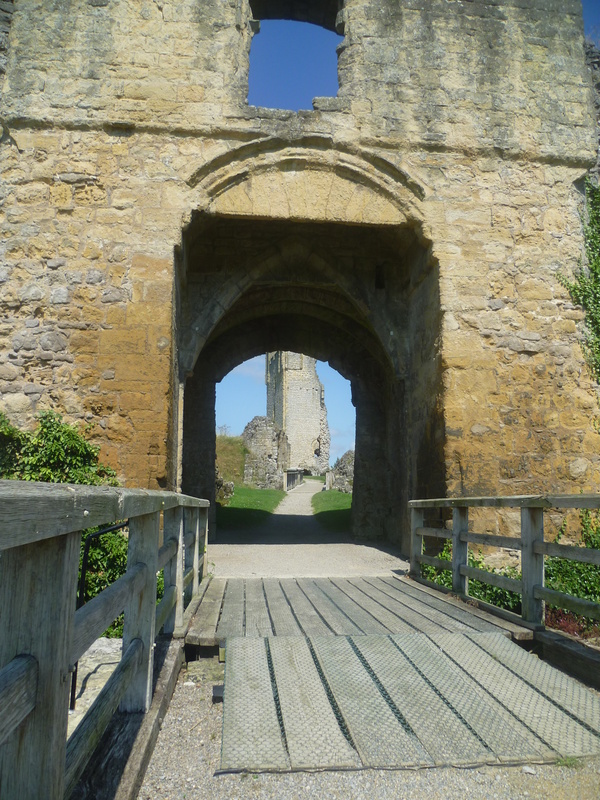 Climb even more steps and you arrive on the battlements and walkway around the top of the keep. What a grand view over the city. Friday…………….. Today is race day so I decided to stay on site to see the horses. In actual fact we didn’t see any racing. 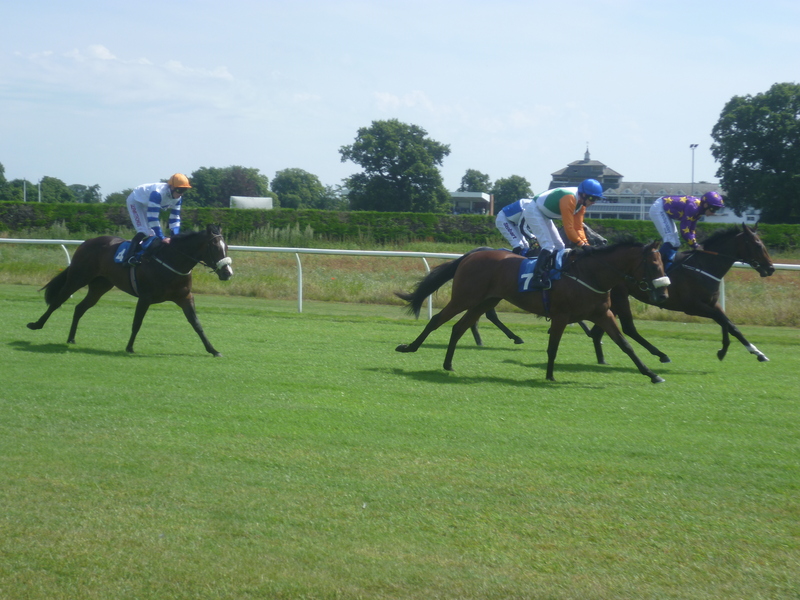 What we saw were the horses having a gallop before their race, and the slowing down after they’d passed the finish. Whenever I come to the this site it’s like a home coming. We came here for the first time in 1967 and since then have been here many times. In addition, as a boy I went to school in nearby Workington, and later to the Grammar School in Cockermouth. Every local drive I take is as familiar as my own back garden but one can never tire of such beautiful scenery. By the time legs were wound down, water plugged in and electricity connected, it was still only 2.30. 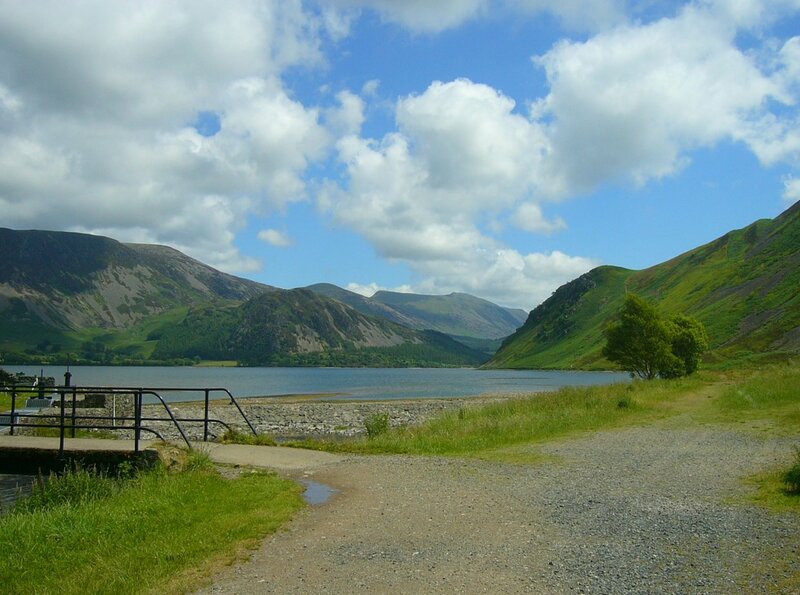 My bike was already loaded in the car so I took the short drive down to the car park alongside Ennerdale Lake. A wide track continues along the lake side but it’s on Forestry Commission land so motor vehicles go no further than the car park. However it’s an ideal ride for those with bikes. I rode to the end of the lake before returning along the same route. Walkers with much more stamina than me spend the day walking the entire route around the lake. On the way back to the site I took a short detour which brought me to Cogra Moss. This is a small stretch of water which was man-made more than 100 years ago to form a water supply for the nearby town of Frizington. It’s no longer used as such but it attracts many anglers. Sunday. This required an early start because I had planned a long drive. First there was the 35 miles across to Carlisle. I wanted to see the Castle again. It’s more than 70 years since I last saw it. Cumberland, as it was once called was considered to be part of Scottish lands. 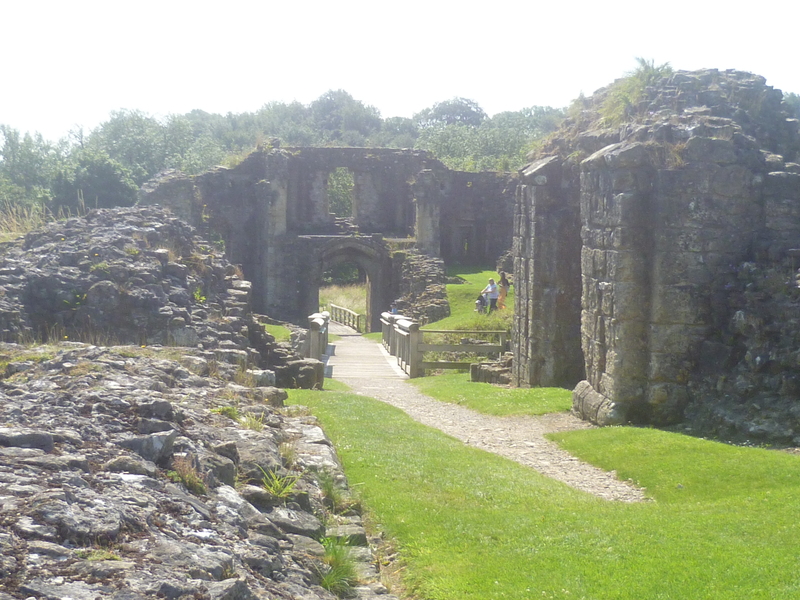 The son of William the Conqueror decided it would be part of his lands so the Castle was built. During the next 900 years the Castle changed hand between the English and the Scots many times. Henry 8th ordered the castle to be modified so that artillery could be mounted. During the Jacobite rebellion in 1745, Carlisle and the Castle was seized by the Jacobite forces and held whilst they moved on south. 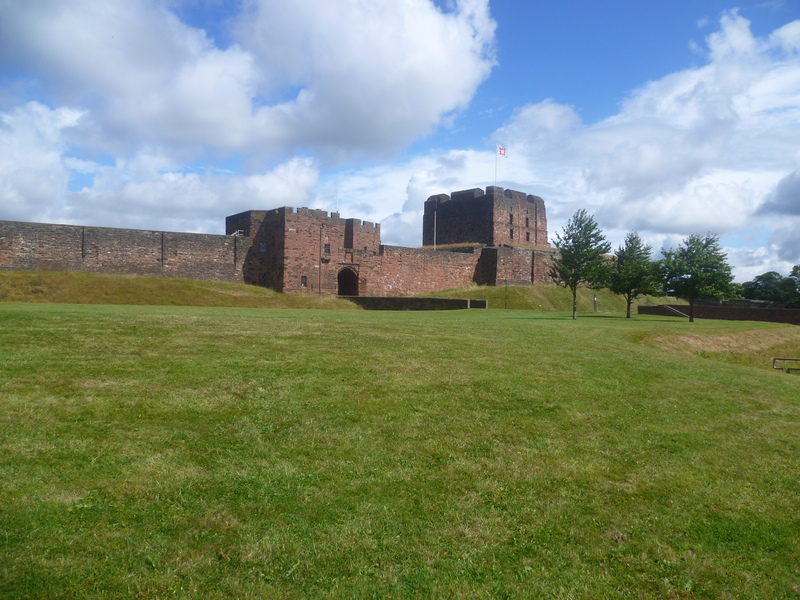 However the English army led by King George’s son attacked Carlisle, took the Castle, put the Jacobite forces in the dungeons and left them there without food or water for several days before leading out the survivors and executing them. But then it was time to move on. 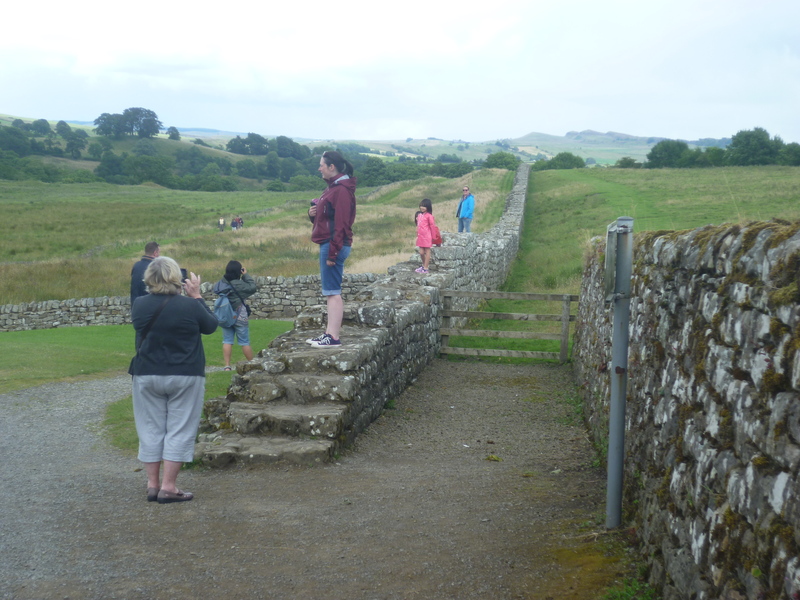 This time up into Hadrian’s Wall country at Gilsland. I followed the narrow country road which runs alongside the wall’s foundations for several miles. 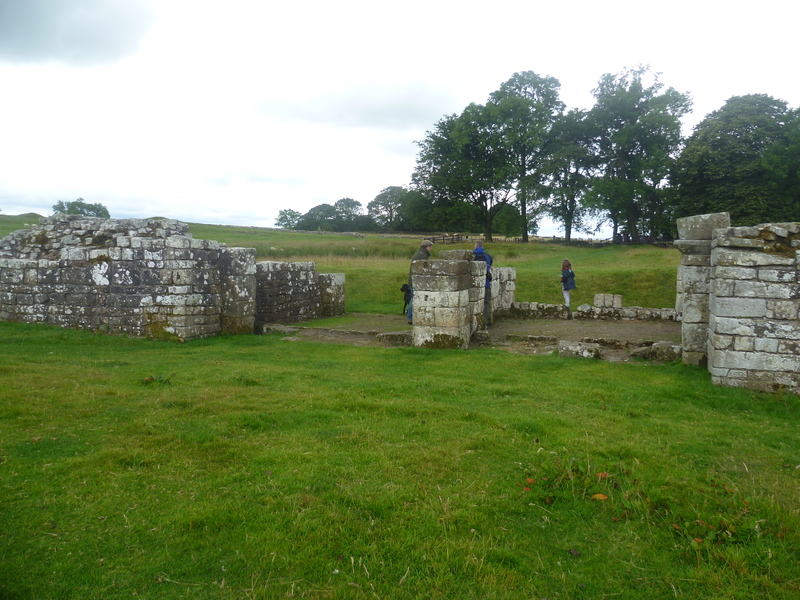 I stopped at Birdoswald to walk around the site of the Roman Fort and inevitably my thoughts went back to 1954 when I was last here with my Uncle. Just as we did 60 years ago I made my next stop at Lannercost Priory. 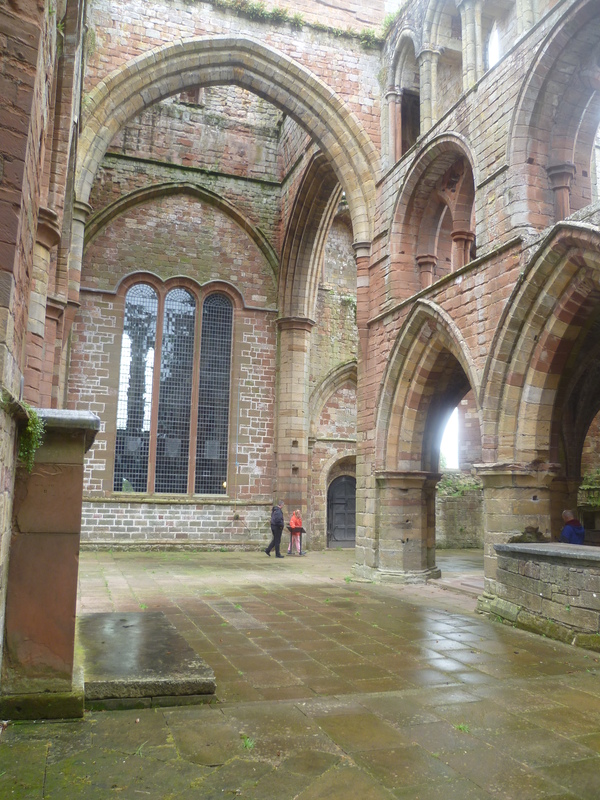 Here the Priory is only partly ruined because the nave of the Priory is still used as the parish church. By the time I’d walked around the site, visited the craft fair in the beautifully timbered village hall, it was time to hit the road. I had a long way to go back to the Lamplugh. Total for the day – 120 miles. Monday. Last night I checked the weather then set about mapping out my route for today. 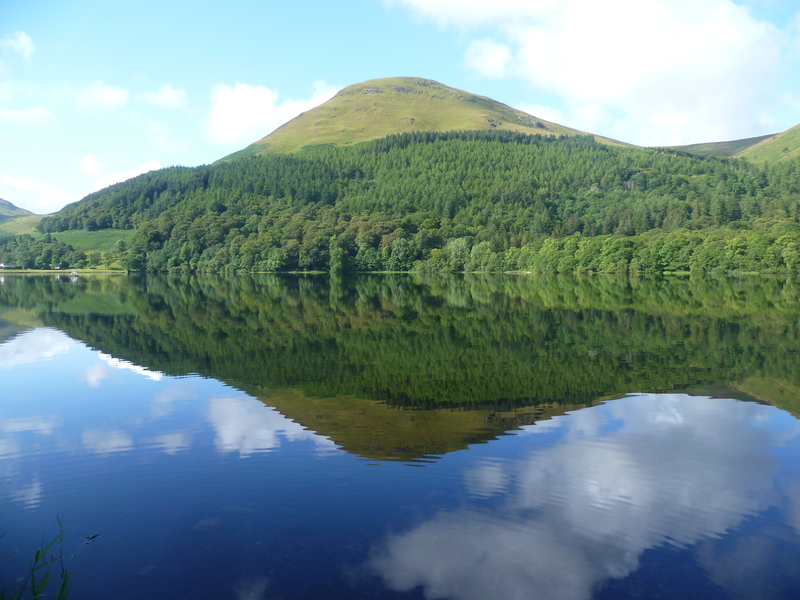 Within 3 miles of leaving the site I was standing in a favourite spot on the banks of Loweswater. In the early morning sunshine the view, with the mountains reflected in the still water was just superb. 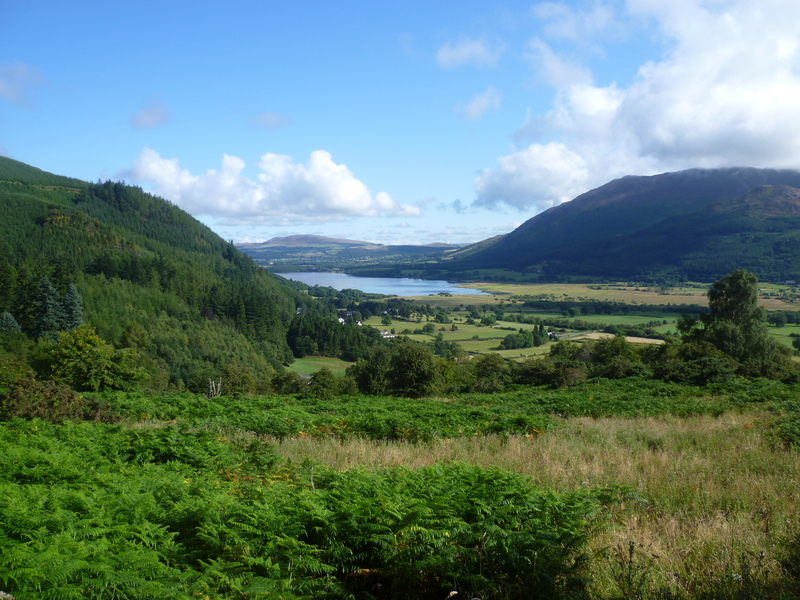 I motored on over Whinlatter Pass but couldn’t resist the temptation to pull in to admire the view over Bassenthwaite Lake, before dropping down to bypass Keswick. following the narrow lanes which were never intended for modern traffic, however some drivers still insist on taking their huge Autocruisers along them. 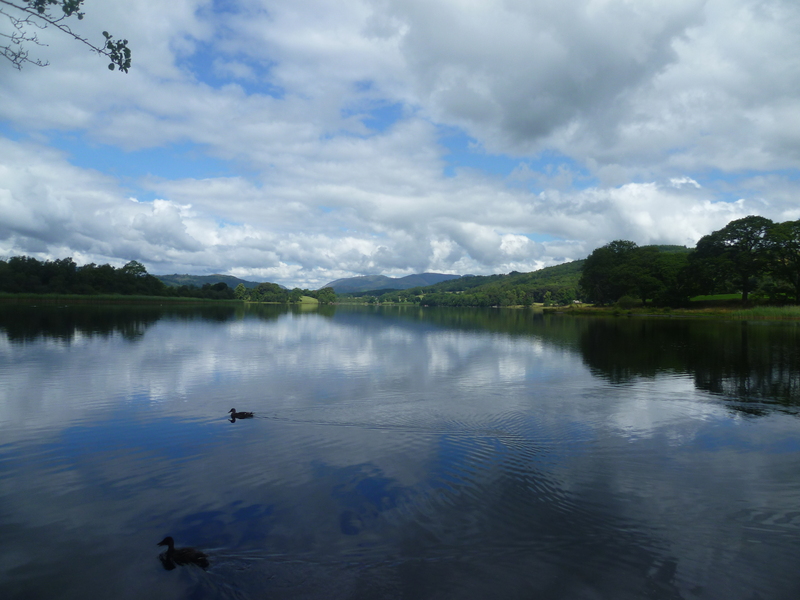 Having got my tyres back on wider roads, I drove along the shores of Windermere down to the Stott Bobbin Mill. 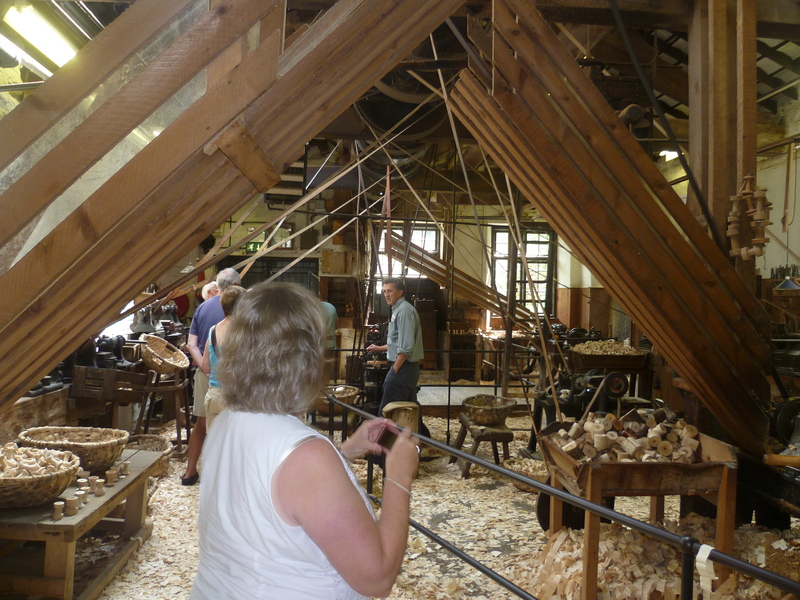 During the Industrial Revolution when the mills of Lancashire were busy making cotton for many parts of the world, there was a huge demand for wooden bobbins. Mills sprang up all over the Lake District to satisfy the demand. The work was hard, dangerous and very poorly paid. Children as young as eight were brought from the workhouses of the coastal towns to be exploited in the mills. 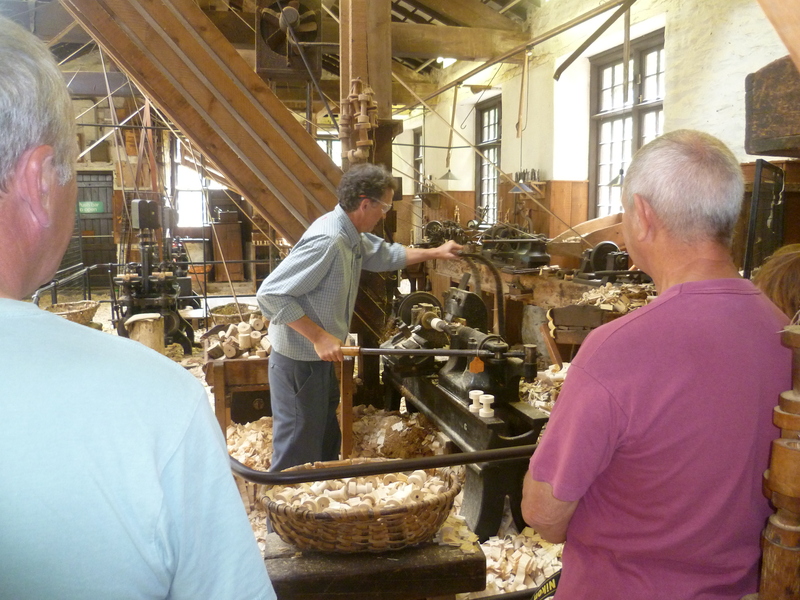 The Stott Mill is the only one in existence now and is in the care of English Heritage. 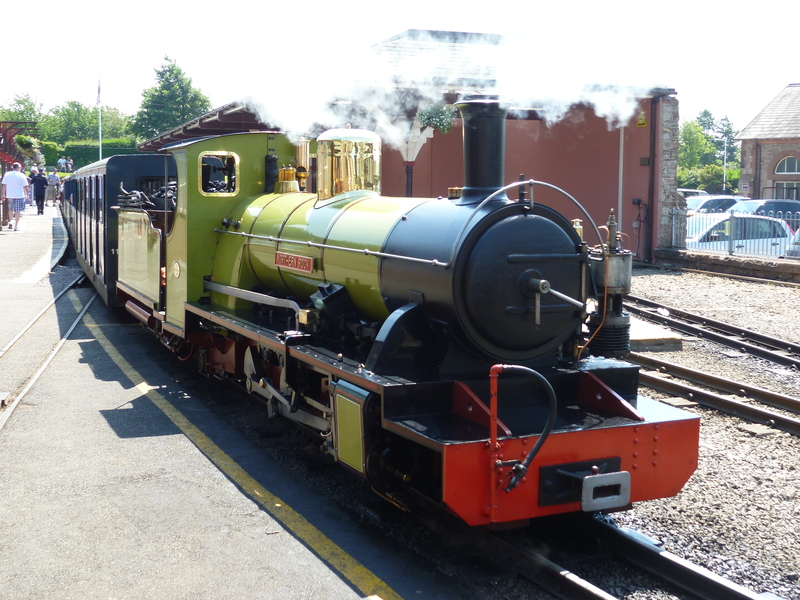 After my visit I made a brief stop at Lakeside Station to view the steam trains, before making my way back to Lamplugh by way of Corney Fells. Another 110 mile drive. Tuesday. 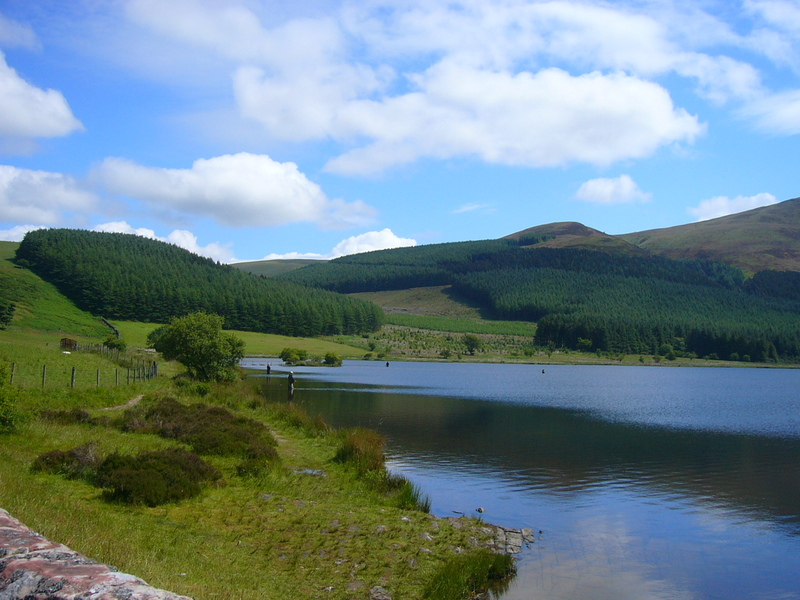 Today’s plan was to head south, skirting the southern edge of Ennerdale Lake, up over Cold Fell then down to Calder Bridge where I would join the main road to Gosforth. 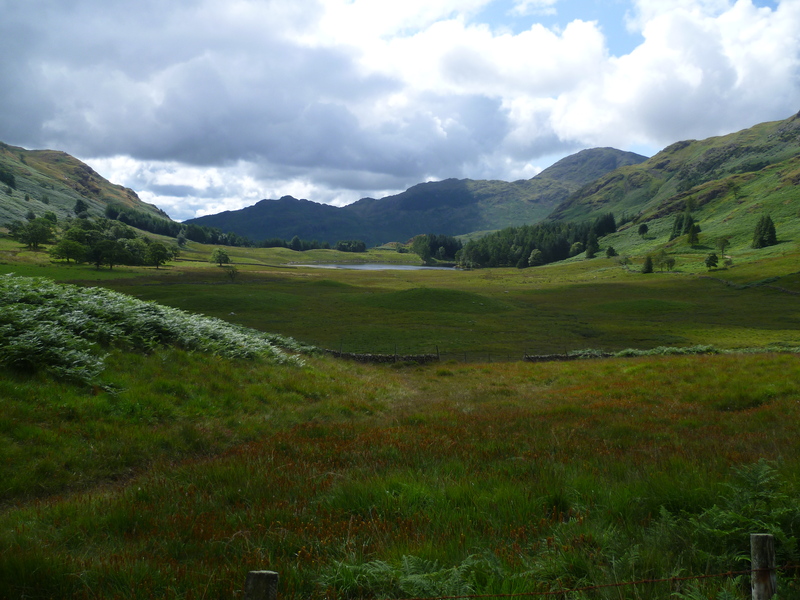 From there an undulating road wends it’s way southwards before turning inland into the Eskdale Valley. 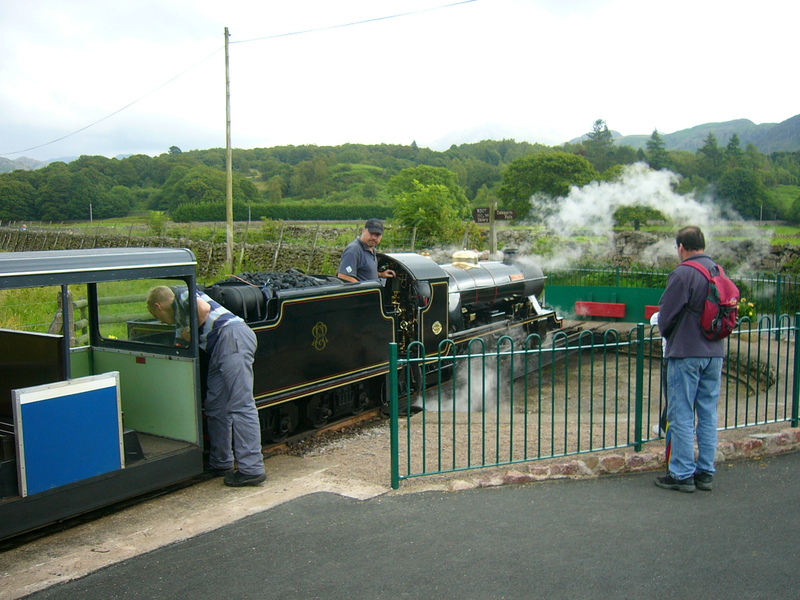 From Ravenglass on the coast there’s a narrow gauge railway which runs along the valley bottom making several stops before terminating at Boot. Although the miniature carriages now only carry holiday makers, the origins of the line date date back more than 150 years to when the railway was built for the transport of iron ore and granite. The road continues along the valley floor for a few more miles before suddenly climbing in short steep sections with hairpin bends to the top of Hardknott Pass. Half way up the first climb if there’s space in the tiny parking area it’s worth stopping and picking one’s way over some rough, marshy ground to the remains of the Roman Fort. Ravensglass during the Roman occupation was an important sea port and this fort at Hardknott served as a staging point on the Roman Road over the mountains to Ambleside. 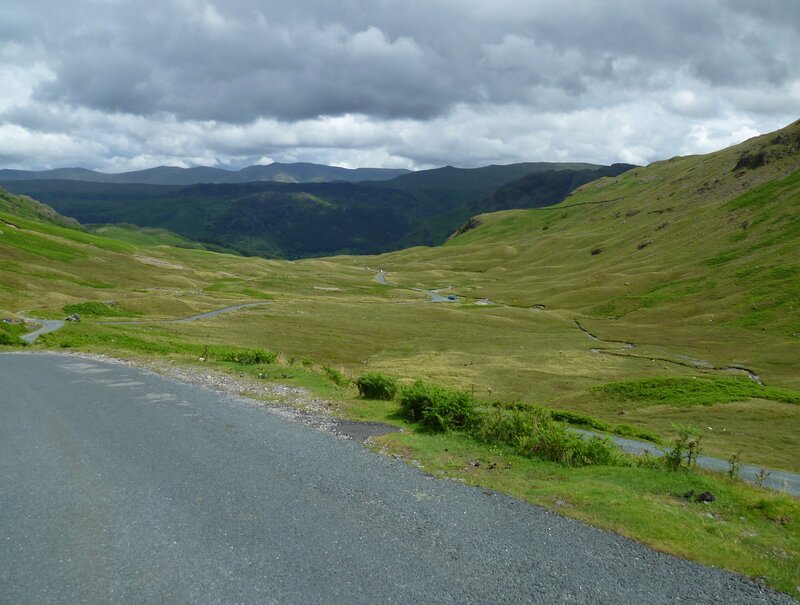 Having climbed to the top of Hardknott, the road then drops down into Wrynose Bottom by way of more hairpin bend. The road snakes along the valley bottom for 2 or 3 miles before climbing even steeper hills to the top of Wrynose Pass. 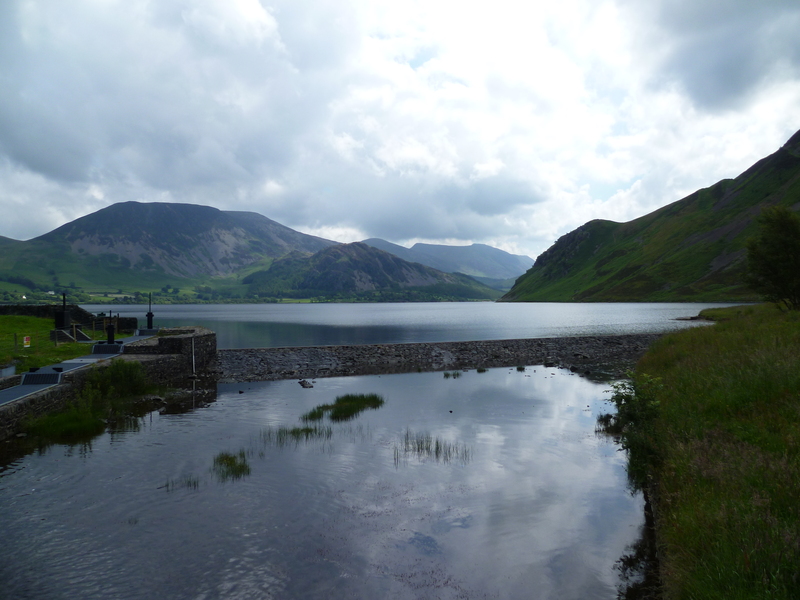 However before then, I turned south and headed into Dunnerdale along the banks of the Duddon River. 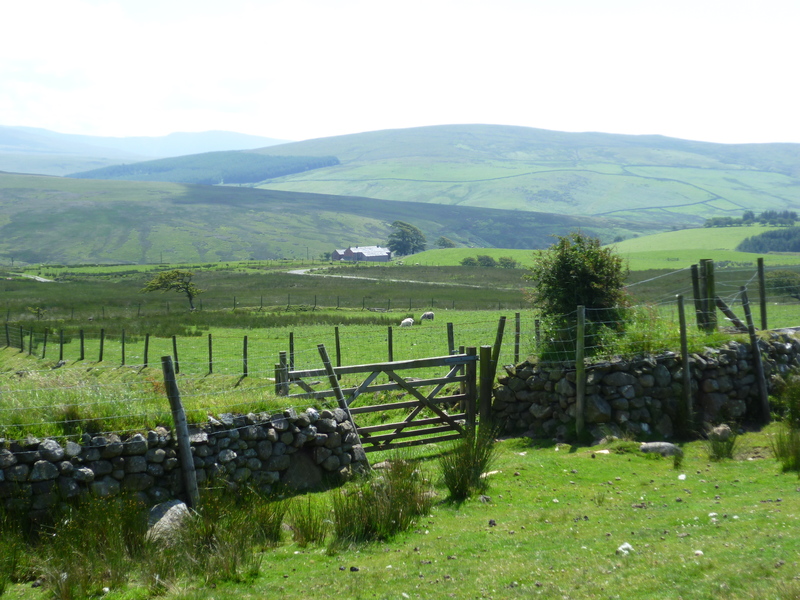 When I reached the village of Ulpha, I took the sharp turn north and headed home over Ulpha Fell. Today’s mileage – a modest 60 miles. Wednesday. The rain started during the night. The first I’ve had since leaving home. At breakfast it was still hammering on the caravan roof. At 3pm with the rain stopped but heavy clouds, I decided that since I had to leave tomorrow morning, I would up sticks and leave now. So by 4pm I was ready to leave. With 360 miles to do, I estimated that with one stop I would be home by mid-night. You are an inspiration to us all and good luck to you. Hopefully we will come across you in our travels too. Shirley and John, Milton Keynes. Thank you……. I’m very fortunate that I enjoy a reasonable standard of good health. Yes ! I hope we can say the same in the future ! Good Luck and Thank you. Memories….my wife and I were also pupils at Cockermouth Grammar School but I would hazard a guess it would be after your time. A very enjoyable read and one that fills me with the confidence to “keep gaan” as us Cumbrians say for a few more years yet tugging the ‘van around Europe. Thank you for your comments. My time at CCGS was 1940-45 so probably a bit before you. I’ve met two good friends here at El Pino, William & Yvonne from Allenby. Small world what. I can’t believe how much you fit in a day! We are always out and about when away but only for four or five hours and then we have had enough. You seem to go on and on. Long may it continue. We loved Dockray Meadows when we were there too.